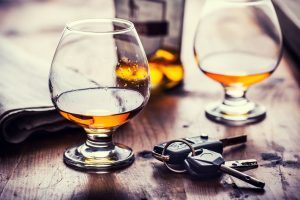 Home » Blog » Drunk Driving Accidents: Injured by a Drunk Driver – Can my Insurance Help? Drunk Driving Accidents: Injured by a Drunk Driver – Can my Insurance Help? All too often those who are reckless enough to drive drunk are also reckless enough to carry minimal insurance needed to compensate those who are innocently injury by such conduct. Even worse, we see many drunk drivers who simply break Pennsylvania’s mandatory automobile liability insurance laws and carry no insurance at all. These cases are particularly troubling because without bodily injury liability insurance it can be exceedingly difficult to recover money to compensate the injured. Fortunately, we are not without options. Pennsylvania law allows people to prospectively and protectively buy insurance for the possibility that they (or their relatives) could be injured in a motor vehicle collision where the wrongdoer has little to no insurance. This type of coverage is called “Uninsured/Underinsured” motorist coverage. When buying uninsured/underinsured motorist coverage, consumers should take caution to purchase as much insurance as they can reasonably afford. Naturally, the higher the limits of uninsured/underinsured motorist insurance we carry the greater amount of money we may be able to recover to help offset injuries and losses at the hands of an inadequately insured drunk driver. Also of great importance, consumers should take care that they have elected for “full tort” coverage under their own insurance policies. Pennsylvania law allows us to carry either the “full tort” or “limited tort” option with our auto insurances. As the name suggests, limited tort coverage carries fewer protections than full tort; most notably in the proofs one needs to present in order to recover for non-economic losses such as “pain and suffering.” The trade-off is that limited tort insurance costs less, but in exchange for those lower insurance premiums many folks give up important legal rights without fully understanding the impact that this election has on their legal rights until they need to make a claim under their insurance. Take for example the drunk driver causing injury without adequate liability insurance. If you are injured by a drunk driver and you carry the limited tort designation on your insurance policy you can count on your own uninsured/underinsured insurance carrier aggressively fighting you to minimize the overall value of your legal claim. Even if injured at the hands of an intoxicated motorist, Pennsylvania law holds an innocent injured person to the “limited tort” standard when presenting a claim to one’s own insurance carrier. I strongly encourage all who have taken the time to read this article to carefully examine their own insurance policies. Take care that you are carrying appropriate and adequate insurance coverage limits to protect you and your loved ones. Purchase as much Uninsured/Underinsured motorist insurance as you can reasonably afford and, by all means, make sure you elect for “full tort” protection.